The SONDORS Electric Car offering is now closed and is no longer accepting investments. 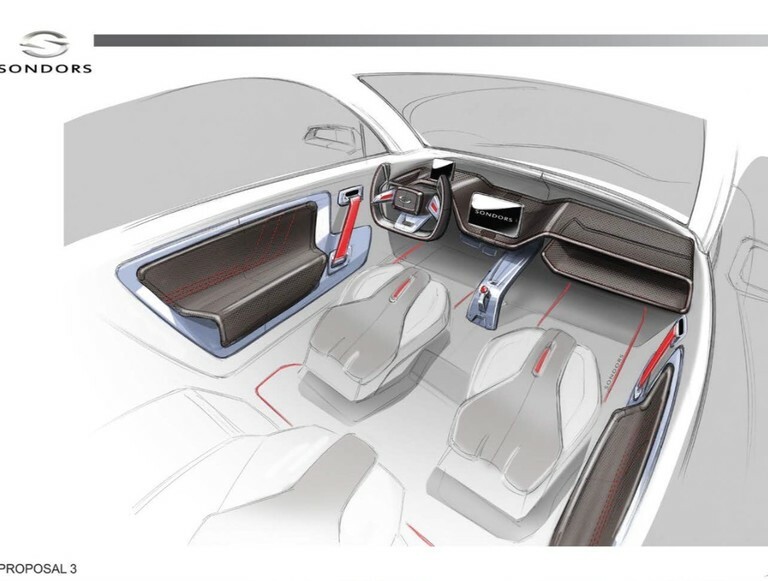 IMPORTANT: Sondors Electric Car Funding Round 2 Now Open! As you’ve seen through our campaign updates and social media posts, our team is hard at work using the more than $1M raised for the prototype phase of Model SONDORS. We couldn’t be more thrilled to now have a working prototype, which we released privately to our passionate investors at an event in mid-November. Now that the pre-prototype funding is oversubscribed and the initial prototype is complete, what happens next? We’re now raising $20 million to fund the tooling phase and have opened our offering again to the general public. Check out our campaign page on StartEngine by clicking here! 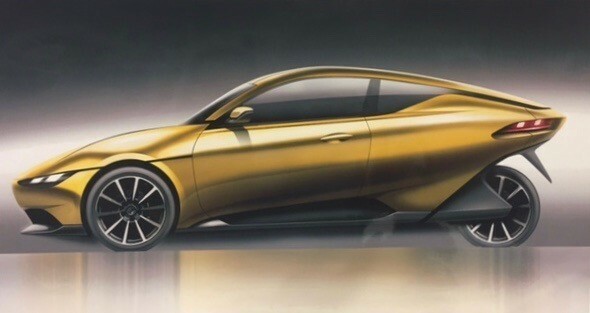 Assuming we reach our goal, we’ll be well on our way to selling and manufacturing cars for production as early as April 2019. Because the future of electric cars is $10,000. “There are enough creators for useless stuff and very few who actually create what's useful. Henry Ford built the first affordable car and changed the face of transportation. I want to build the first affordable electric vehicle and transform transportation once again. I first started an electric bicycle company because I wanted to ride in Malibu, feeling free and having fun. I wanted to offer a bicycle that was built with high quality components for under $1,000. Everybody thought it could not be done. 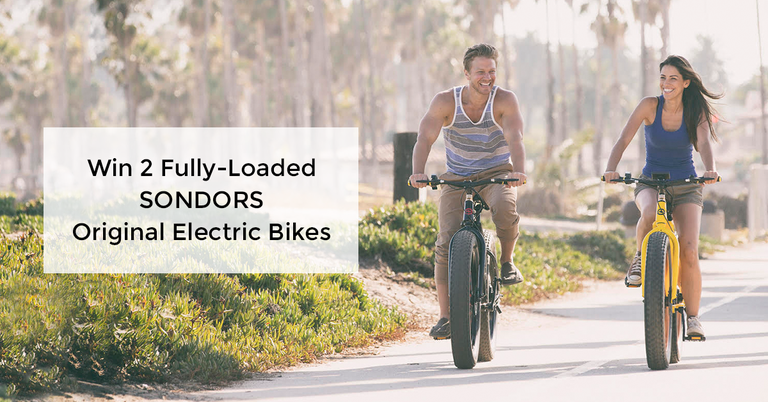 I have since shipped SONDORS electric bikes to the delight of more than 17,000 loyal SONDORS owners worldwide. Now I want to build an electric vehicle for $10,000. The next great American electric vehicle is being built in my garage. Together we will start the electric transportation revolution." $12/share | If you invest you're betting the company will be worth more than $33M in the future. Priority on purchase reservation list. Our mission is to offer a cost effective and clean alternative to our daily transportation. We believe the car world is going electric. We want everyone to be able to drive to work with a cool looking electric car. We want to make a change, for the better. We do not have time to wait around. We need a solution right now to transform how we drive to work. The world is changing. Let’s change it together. "I am big fan of Tesla. I love the idea to drive electric and never stop again at a gas station. I love being good to my environment, and I want to drive electric. I do not have the budget to buy today’s electric car. I saw the SONDORS car and right away I saw myself driving it. I can afford this car and I want to be part of the electric car revolution. I am a proud investor." 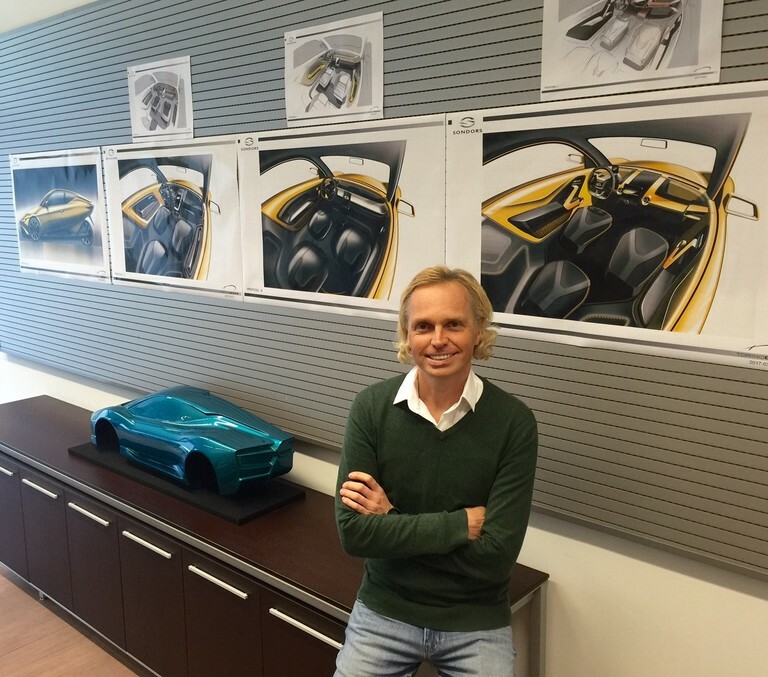 -Miles F.
We are creating an electric car that makes sense to the average person. As we did with the electric bike, we’re taking something over-engineered and overpriced and turning it into something practical and easy to use. At SONDORS, artistry is important. We create things that immediately makes sense to people. 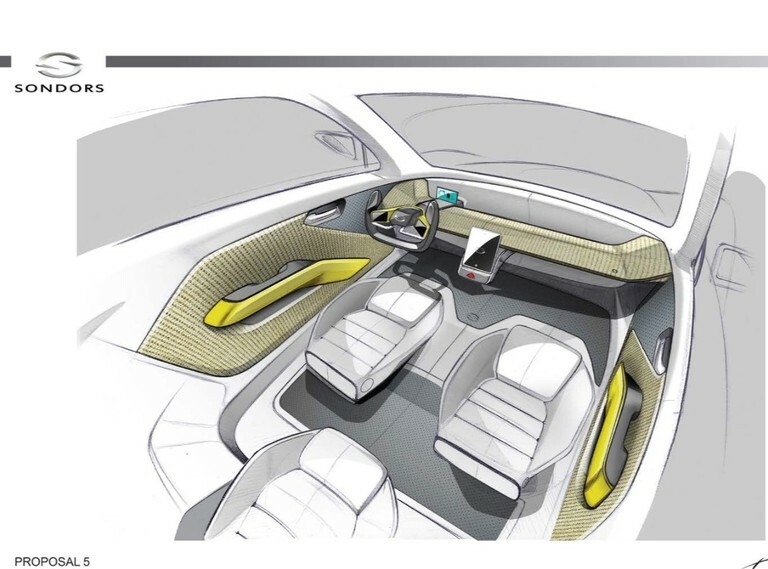 We want to create a car that people want to drive and transport themselves in their day-to-day life. We're able to price our car at only $10,000 because we did away with all the stuff that no one needs. 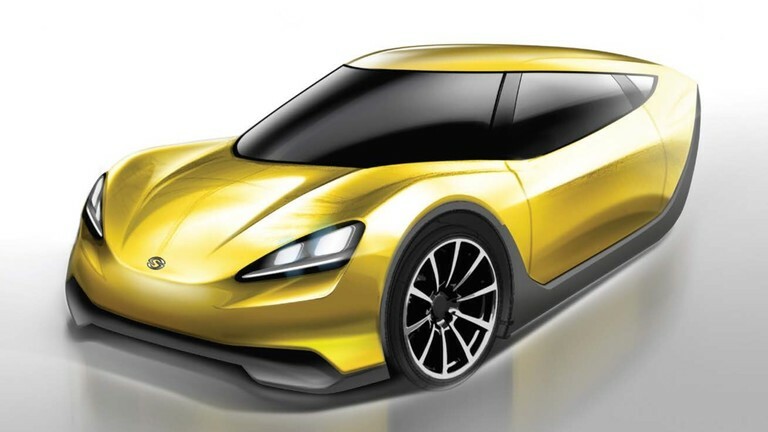 The prototype car will be built in the United States. 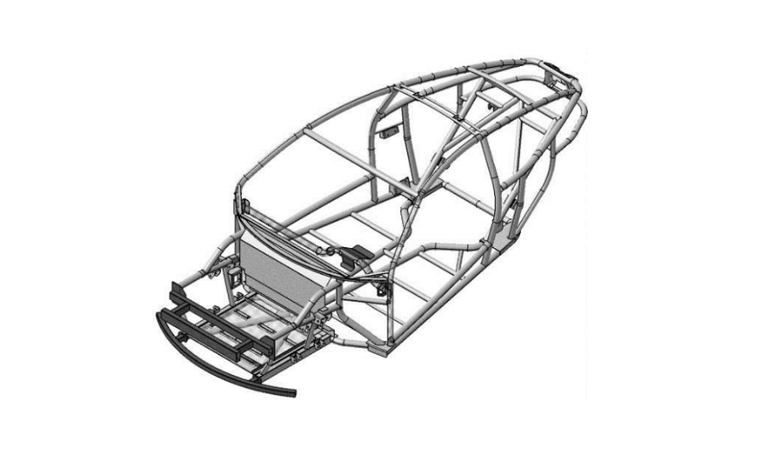 We designed this car in Malibu, and our engineers are from around the world. 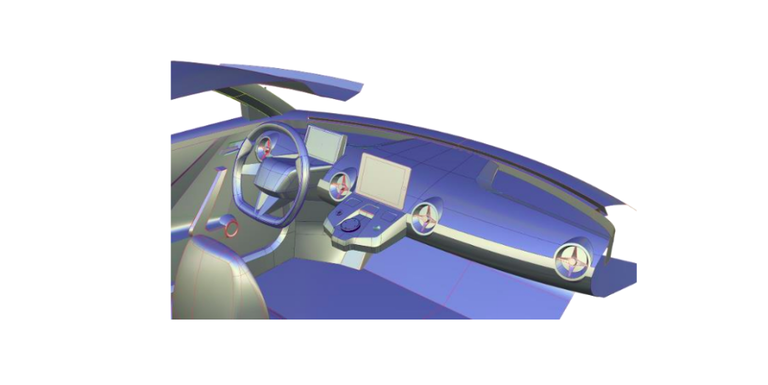 We have engineered modern safety gear that is necessary for a safe ride, and future software upgrades will even further improve the value of the car. As we did with our electric bikes, our plan is to cut out all unnecessary costs. 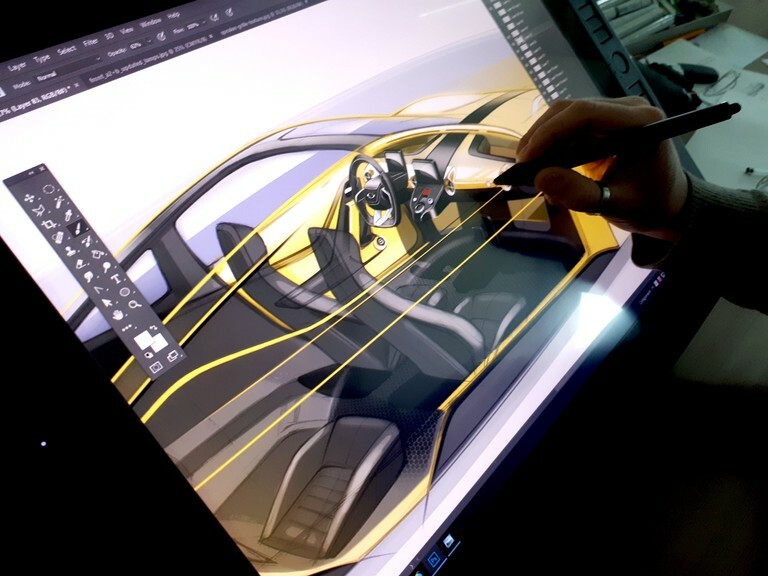 You will be able to custom pre-order your car online. You’ll get the car you want without having to haggle with a salesman. And you won’t even have to leave your house. We’ll deliver right to your doorstep. There is no question that electric cars are going to dominate the car industry in the next 10 years. Research shows demand for electric cars is on the rise and will represent 35% of the global car sales by 2045 according to Bloomberg New Energy. Goldman Sachs estimates 22% of the market will be electric vehicles by 2025. Norway is the first country to reduce sales of gas-powered cars to zero by 2025. The rest of the world will follow. There’s a significant unmet need for an affordable mass market electric car. 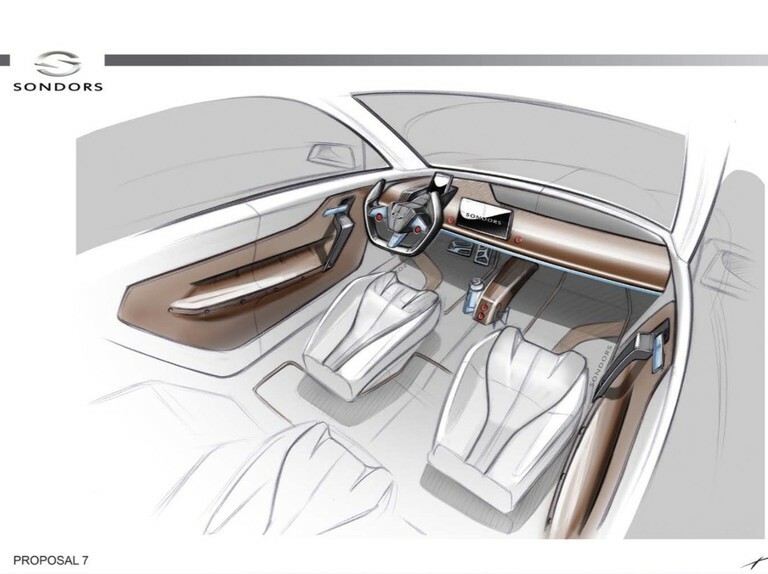 We are positioned at the right time with the right product — a $10,000 electric car, beautifully designed and affordable by anyone. Crowdfunding is an important piece of SONDORS Electric Bike's history. We held three crowdfunding campaigns in one year, each raising millions of dollars. We hold the record for one of the most successful crowdfunding campaigns ever. We love crowdfunding and we love bringing our vision and products directly to the public to both validate our goals and fuel a change. We want to give our supporters a bigger opportunity. We want to offer you a piece of the SONDORS Car Company so that you can realize the potential financial success of the company with us. Together, we will create the most affordable electric car ever. 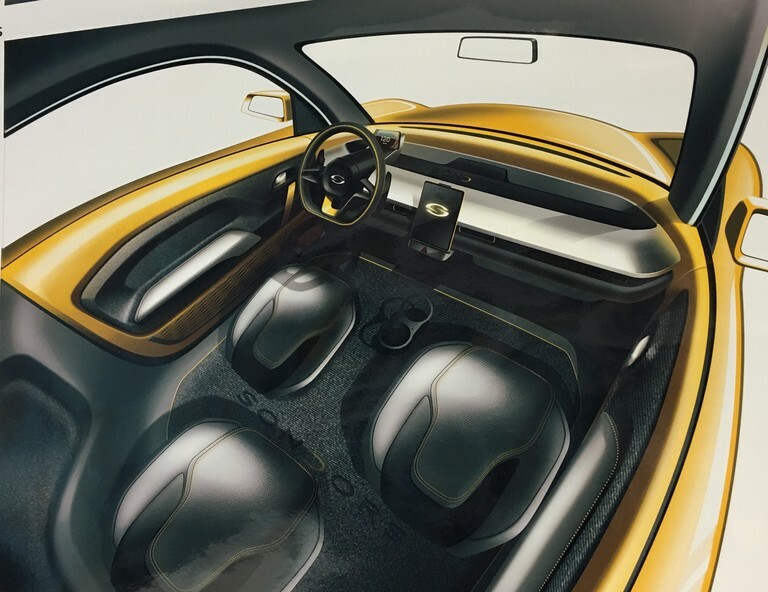 Proceeds from this Online Public Offering will be used to develop a working prototype for the car, which is projected to be unveiled in California within 12 months of the offering closing date. 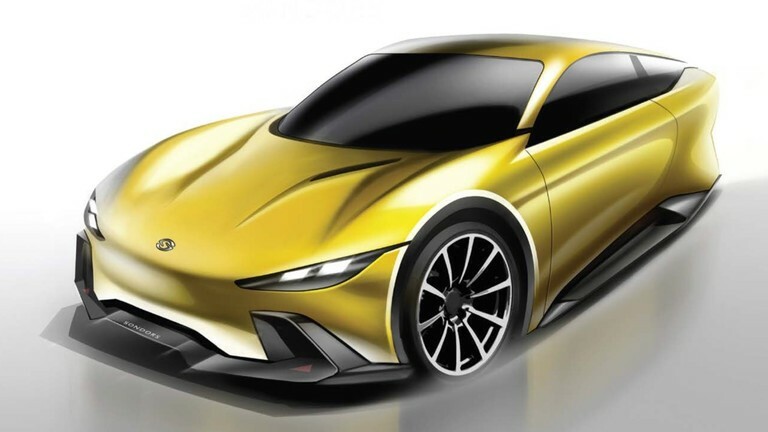 Our current priorities are finalizing the technical aspects, and continuing discussions with potential vendors, partners, and suppliers for the prototype and production of the car. 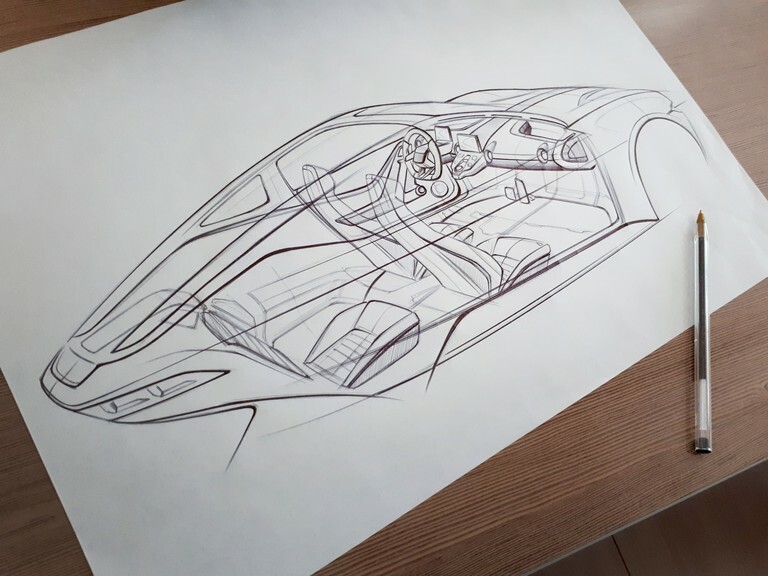 After completing the prototype, we will embark on a SONDORS Test Drive Tour, generating market interest through the pre-sales program, and quantifying demand through reservation deposits. The company will leverage that data to increase its valuation for the next round of financing. We expect sales to exceed 120,000 units in the first year. Our business plan includes a path to profitability and strong returns for investors when targets are met. When Henry Ford wanted to build a car for the mass market he went to his community, raised money, and changed the world. I want everyone to be able to own shares in my new electric car company, and this is now possible with the new Online Public Offering rules. The SONDORS Electric Car Company journey starts now. Together we are going to change history. 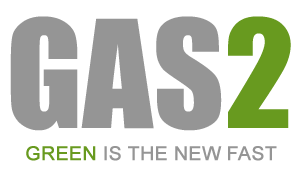 We are going to challenge the status quo and we are going to prove people want to drive electric. People want a clean environment, a fun drive, and they want to be able to afford it. Yes, I know this is going to be hard and we will face many hurdles thrown at us but I can tell you that I am ready for it. Everyone told me selling electric bicycles for under $1,000 was impossible. They said I would have to compromise on the quality of the components. They said many things. But I did not care, I went ahead and built it and sold it. And seeing the happy smiles on my customers means everything to me. I want to do it again. I want you to be an investor and join me in this exciting journey. Together we are going to change the world while having fun. The world is filled with useless stuff. Let’s create something useful together. 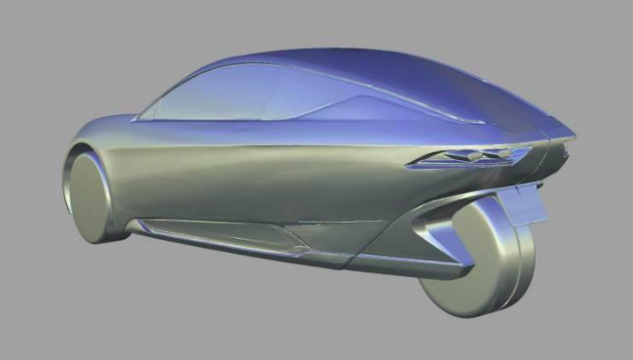 The car, called Model Sondors, will seat three people and be available in three range options: 50 miles, 100 miles, and 200 miles, the company says. 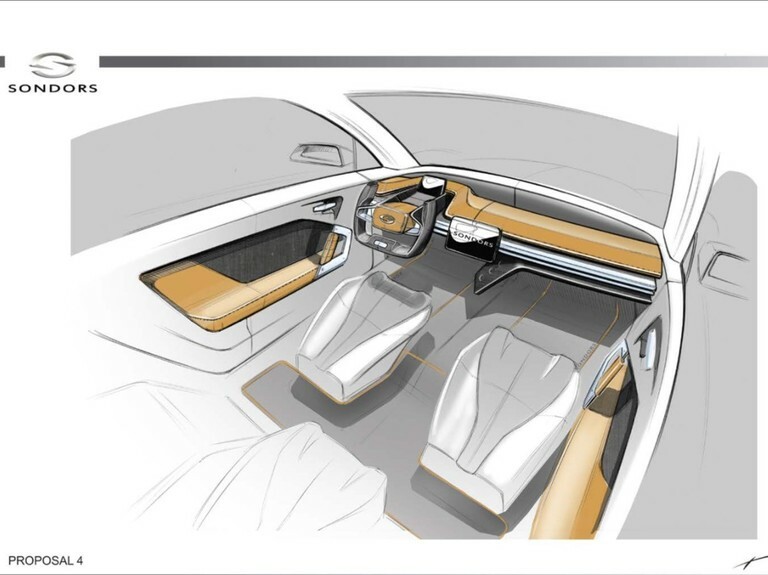 The vehicle will be designed to have an all-wheel drive dual motor system option, with a battery pack in the floor of the vehicle, and the motor and gearbox in line with the rear axle, according to company’s business development plan. The following summary highlights selected information contained in this offering circular. This summary does not contain all the information that may be important to you. You should read the more detailed information contained in this offering circular, including, but not limited to, the risk factors beginning on page 3. References to “we,” “us,” “our,” or the “company” mean Sondors Electric CarCompany. 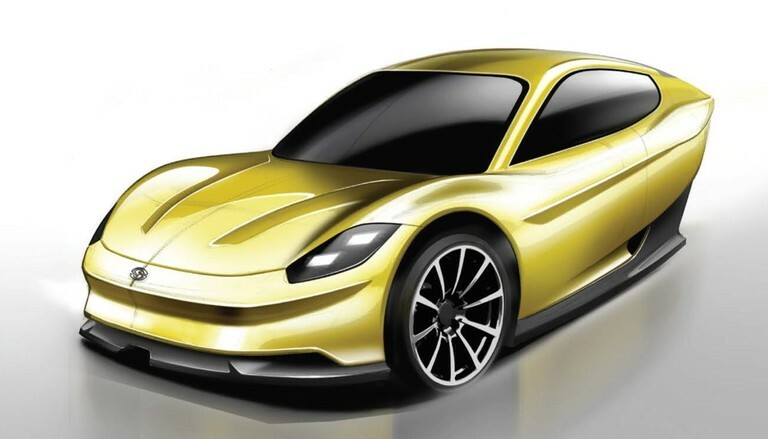 electric car to be designated as “Model Sondors”, which the Company intends to market and sell worldwide. Securities Offered: Maximum of 83,333 shares of common stock ($999,996). 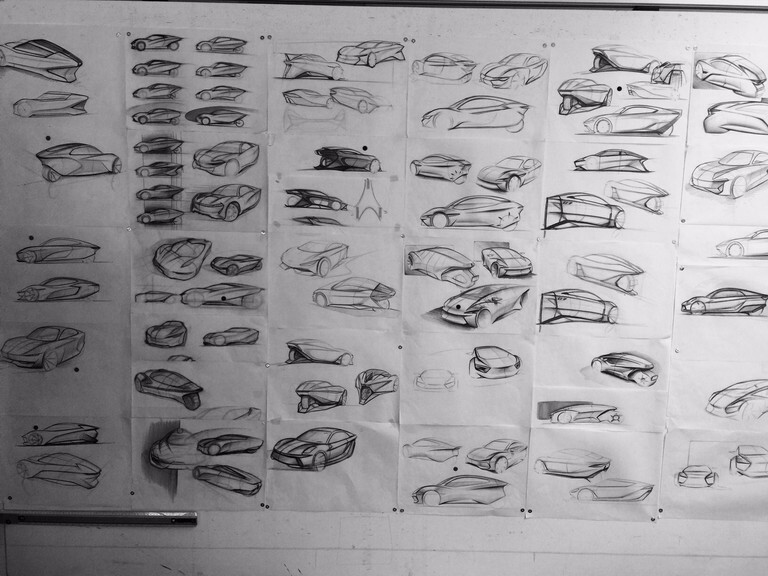 the design and development of the Model Sondors prototype. Risk factors: Investing in our shares involves a high degree of risk. As an investor you should be able to bear a complete loss of your investment. You should carefully consider the information set forth in the “Risk Factors” section of this offering circular. We have not undertaken any efforts to produce a valuation of the company. The price of the common stock merely reflects the opinion of the CEO and management of Sondors as to what a fair value would be. As you’ve seen through our campaign updates and social media posts, our team is hard at work using the more than $1M raised for the prototype phase of Model SONDORS. We couldn’t be more thrilled with the progress so far, and are on track to have the initial prototype completed in July 2017. Now that the pre-prototype funding is oversubscribed and the initial prototype is almost complete, what happens next? We’re ready to raise the necessary $20 million in funding required for tooling and have decided to start our offering with accredited* investors only. Check out our campaign page on StartEngine by clicking here. If you discover you are not accredited, stay tuned and continue to follow SONDORS Electric Car Company. Our team is working to create an offering that will provide everyone the chance to invest in the tooling phase. * What is an accredited investor? This is a term used to describe people who have earned over $200,000 a year for the past two years, and feel they will continue to earn above this threshold or who have assets of $1M or more excluding their primary residence. If you discover you are not accredited, stay tuned and follow our campaign by clicking the heart in the top right corner of the campaign page. I am writing this update to inform you that there&apos;s yet another opportunity to invest in SONDORS Electric Car Company. Recently, the Securities and Exchange Commission (SEC) amended the Title III Regulation Crowdfunding rules to increase the maximum amount a company can raise. The new rules now allow a company to raise a total of $1.07M, a $70,000 increase from the prior maximum amount limit of $1M. In response, we’ve reached out each of you that were either canceled or voided as a result of the over-subscription of our first campaign. And after less than 48 hours, we&apos;re just $15,000 shy of our $70,000 limit. There&apos;s still time to become a shareholder in SONDORS Electric Car Company, if you act fast. To invest, just click this link and follow the simple investment instructions. We’re excited about this new rule, and to offer you another chance to become a shareholder in our company. If you&apos;ve already invested, thank you. Together, we are changing the future of transportation. 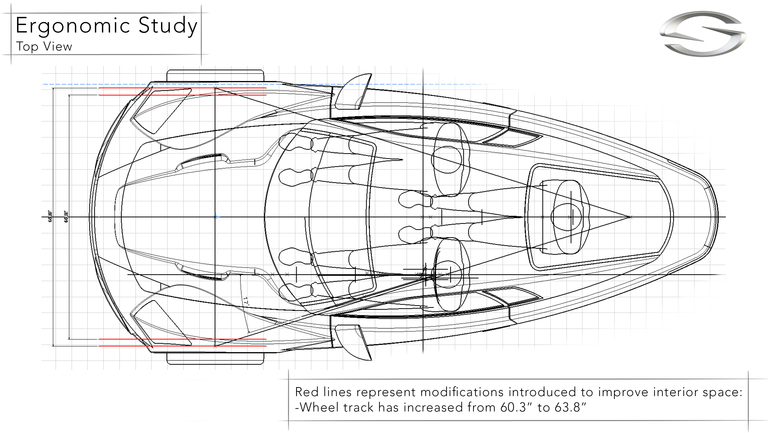 See below for a comprehensive Model SONDORS Project Report and corresponding images. On March 27th, during the SONDORS team meeting in Italy, the modification and refinements to be introduced on exterior and interior CAS have been discussed and addressed. 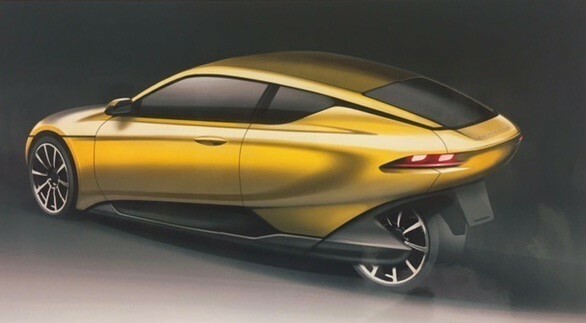 On April 10, Model SONDORS Exterior Style has been refined. Manual modification and refinements on 1:4 scale Model SONDORS were made to harmonize volumes and proportions. 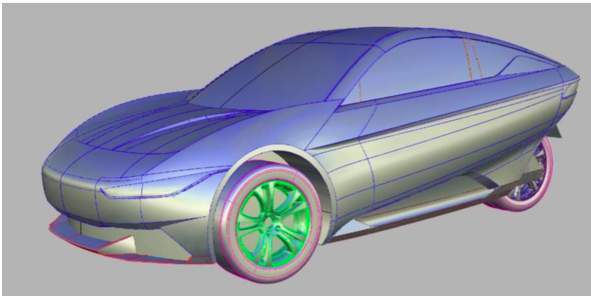 Once manual refinements are complete, the 1:4 Model SONDORS has been digitized. 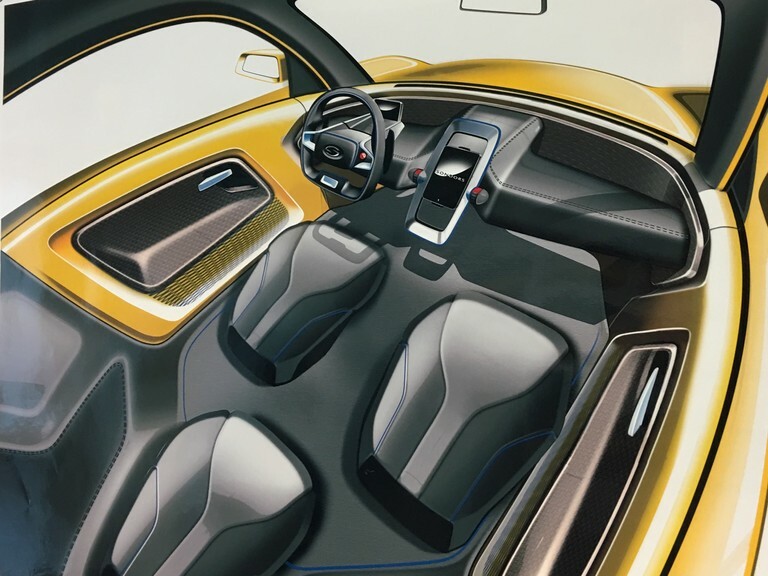 On April 27, Model SONDORS interior styling is refined. I’m both thrilled and pleased with how things are progressing, and will continue sharing everything as we move forward. Continue to stay tuned, as we have more details and exciting news on the way. 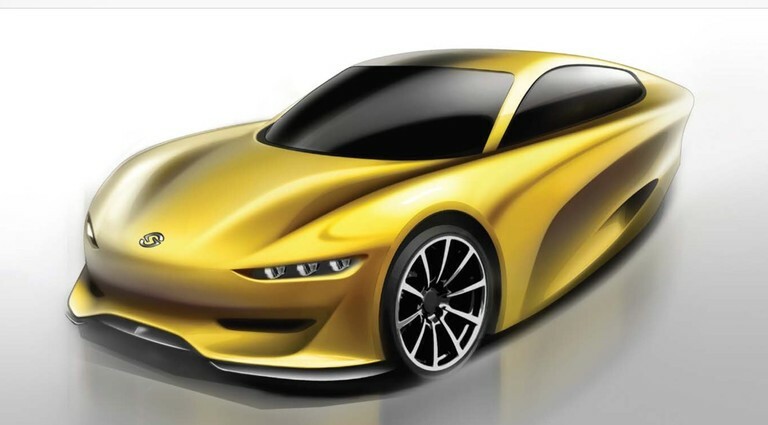 As you know, we have officially chosen to build the Model SONDORS prototype in Italy. We have been working tirelessly, and are moving right along. I am thrilled with the progress we are making, and the results are exceeding my expectations. I&apos;m really looking forward to bringing you up to speed, while I&apos;m putting together a comprehensive update just for you. I will be sharing it in its entirety tomorrow. 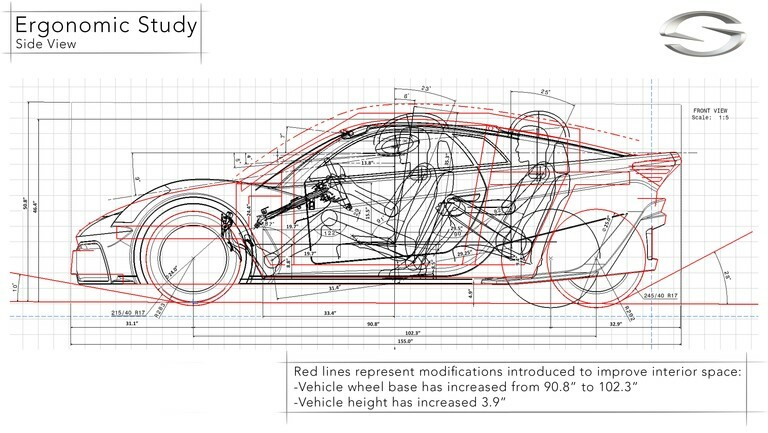 In the meantime, I wanted to make sure you had immediate access to SONDORS Electric Car Annual Report. And, if you haven’t already, be sure to visit our Facebook page where we&apos;ll continue to post pictures of our progress. And while you&apos;re in there, be sure to leave a comment to share your thoughts with us. You may have caught on after seeing a few of our recent updates on our campaign and social media pages – we have officially chosen to build the Model SONDORS prototype in Italy. 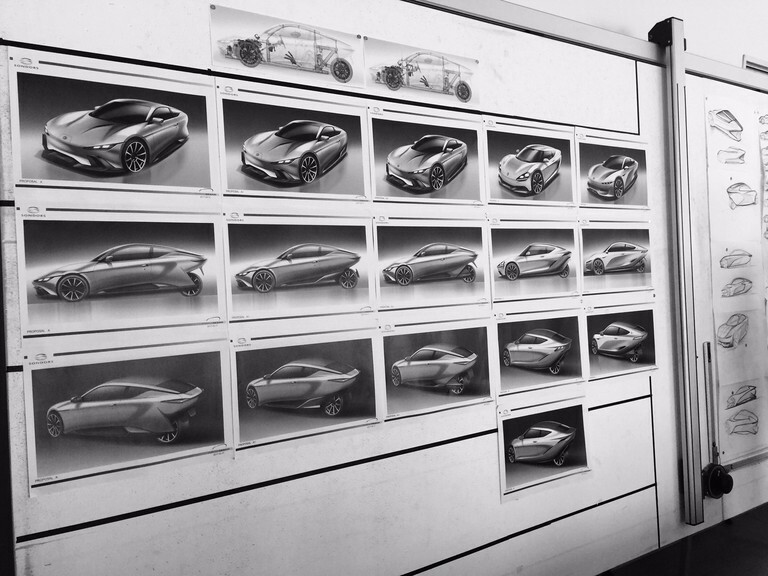 And what you may have also noticed, is that our design and engineering teams are making incredible progress. In my opinion, there’s no better place than Italy when it comes to designing a car. Italy, the birthplace of great classics like Ferrari, Lamborghini and Maserati – surely amongst the most timeless and beautiful cars the world has ever seen. We are extremely fortunate to have partnered with some of the best designers and engineers known from around the globe. 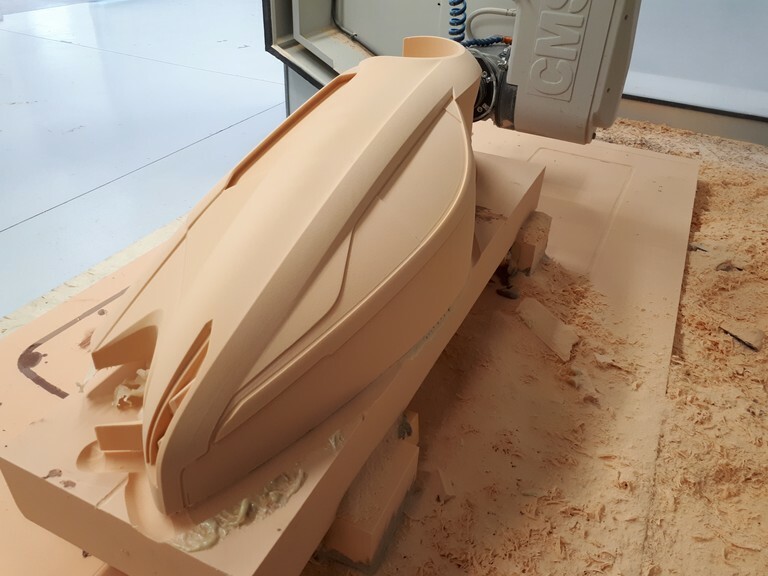 There is truly an impressive collaboration of highly-skilled professionals working together in the making of Model SONDORS, and we couldn’t be here without you. 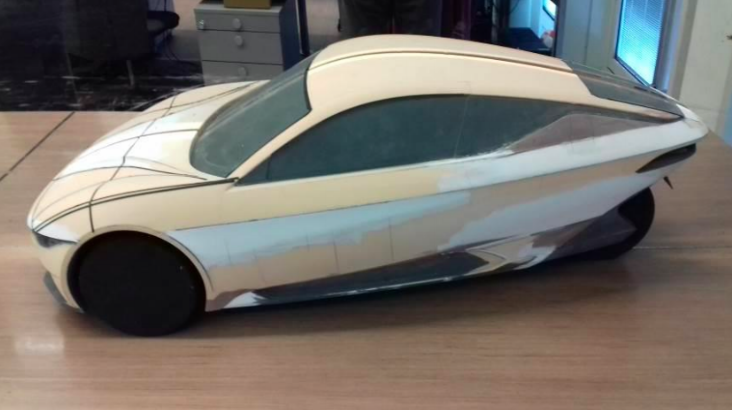 While in Italy, we have finalized the exterior and interior design of Model SONDORS, and are completing 3D surfacing - just as we’ll be using for the final prototype build. 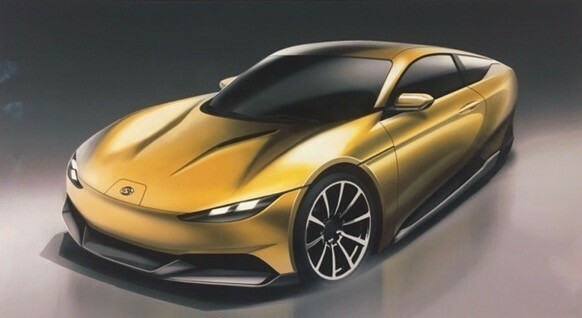 Our choice for the exterior has been inspired by my lifelong passion for Gran Turismo with a modern edge. This is something you can catch a glimpse of within the images we’ve already shared. The Model SONDORS will undoubtedly make a powerful statement for the future of electric car design, with its striking front and profile view and impeccable integration of the 3rd wheel — it’s a guaranteed headturner. It’s what I expected from working with Italian designers, and what you’d expect from SONDORS. We’ve selected an interior that really delivers the “wow” factor. It resembles a creative space that’s both roomy and inviting. It’s simple and clean, yet intelligent and innovative. 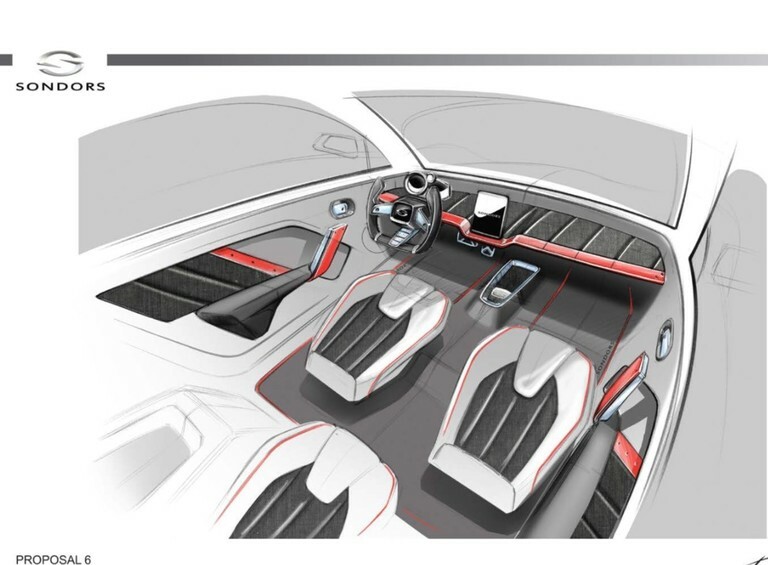 We’ve cut out the unnecessary bulkiness of today’s standard car interior, while enhancing passenger comfort and an exhilarating driver experience. The entire layout has been designed with purpose - focusing on meeting the practical needs and conveniences of modern-day transportation. Stay tuned, as I’ll soon have big news to share about the choice we’ve made for the Model SONDORS motor. We’ve spent a lot of time with multiple motor manufacturers, and will unveil our choice within the month of April. I couldn’t be happier with the progress we’ve made thus far, or more excited for the day we’ll be revealing it all to you. And, if you haven’t already, visit our Facebook page to see additional pictures of our progress here in Italy –– be sure to leave a comment to let us know what you think. 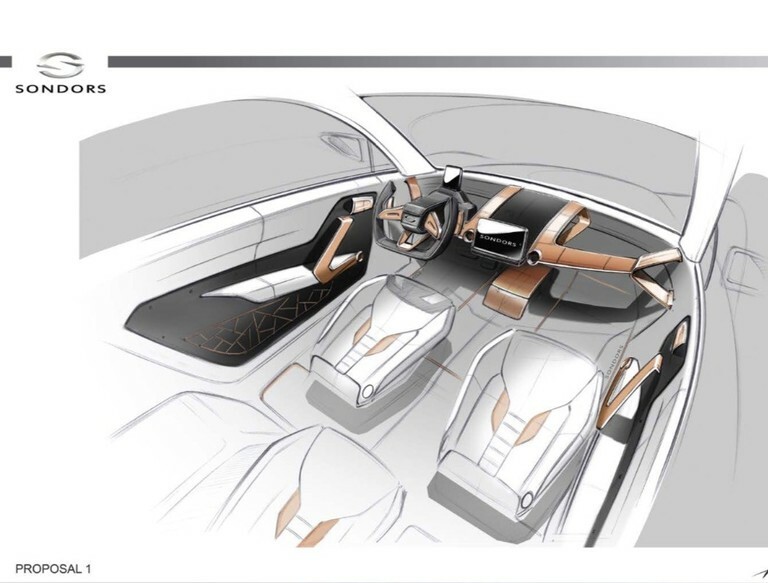 We are back again, this time with design and engineering of the interior of the Model SONDORS. As always, we extend our appreciation for your support. We wouldn&apos;t be here today without you. We look forward to your comments, and continuing to share our progress with you. 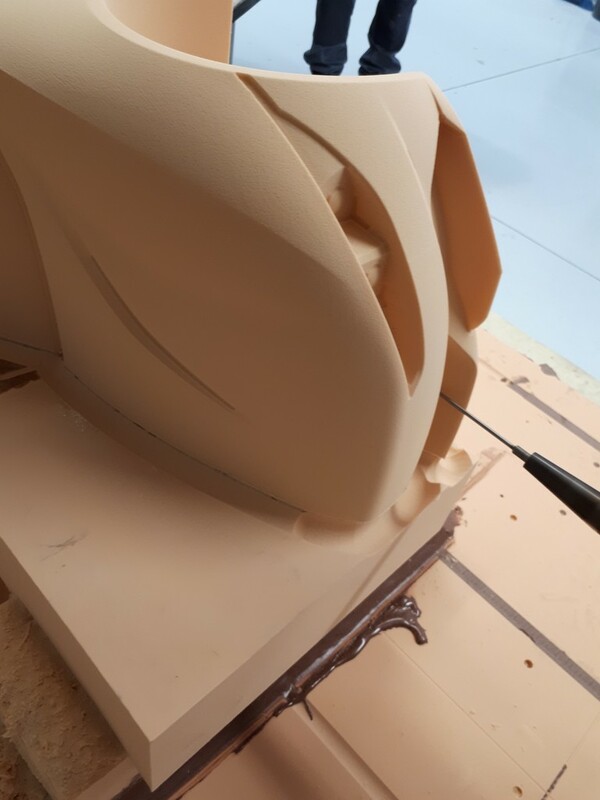 We are continuing to work with our designers and engineers on the exterior of the Model SONDORS. Stay with us, and if you haven&apos;t already, click the heart icon on this page to ensure you&apos;ll keep up with project updates and the latest SONDORS news! 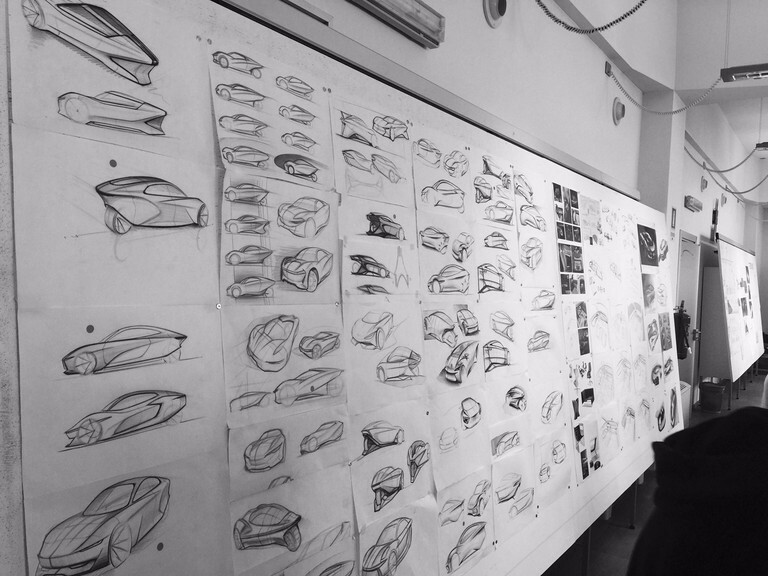 We’re in the midst of refining the exterior of the Model SONDORS with our design and engineering team, and we wanted to share our creative process with you. We’re finalizing two of the designs shown here, (to be chosen by me) and we’ll be releasing them very soon. 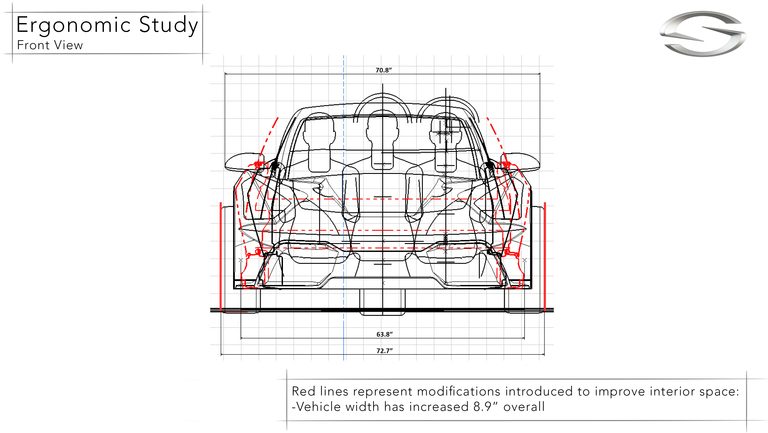 We&apos;re staying true to our goal of building the most attractive, affordable electric car ever. And, we&apos;re definitely enjoying the ride! Stay tuned, and if you haven&apos;t already be sure to click the heart icon on this page to follow along with us - that way you won’t miss a thing and always be informed with project updates and the latest SONDORS news! 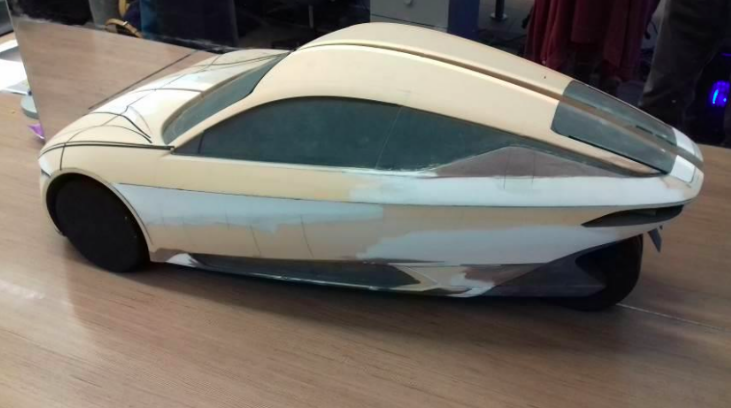 I thought you’d enjoy seeing our feasibility report, and having a look at the ergonomic study for the Model SONDORS prototype. Please see the images below including top, side, and front view of the Model SONDORS. 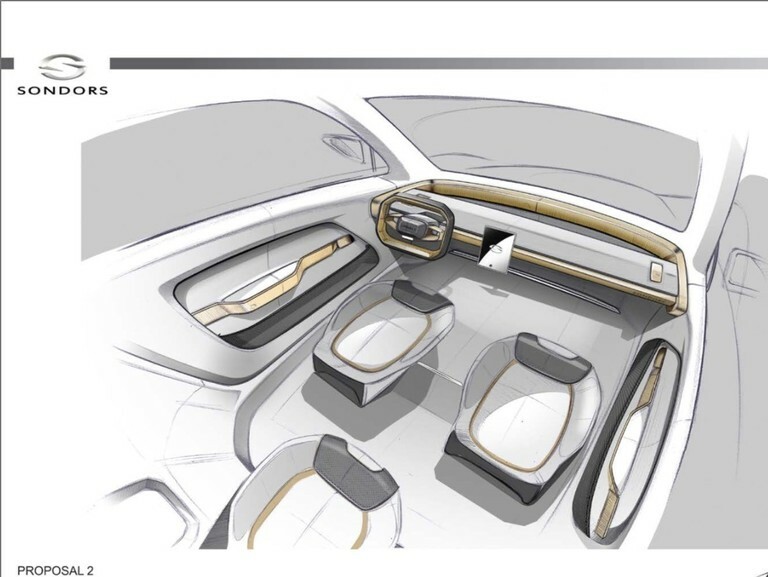 Each depict the modifications we’ve made to improve the interior and exterior vehicle size, providing additional passenger and driver space and comfort. We have some exciting news to share about the Model SONDORS prototype! Our plan has been developed and our schedule is set. 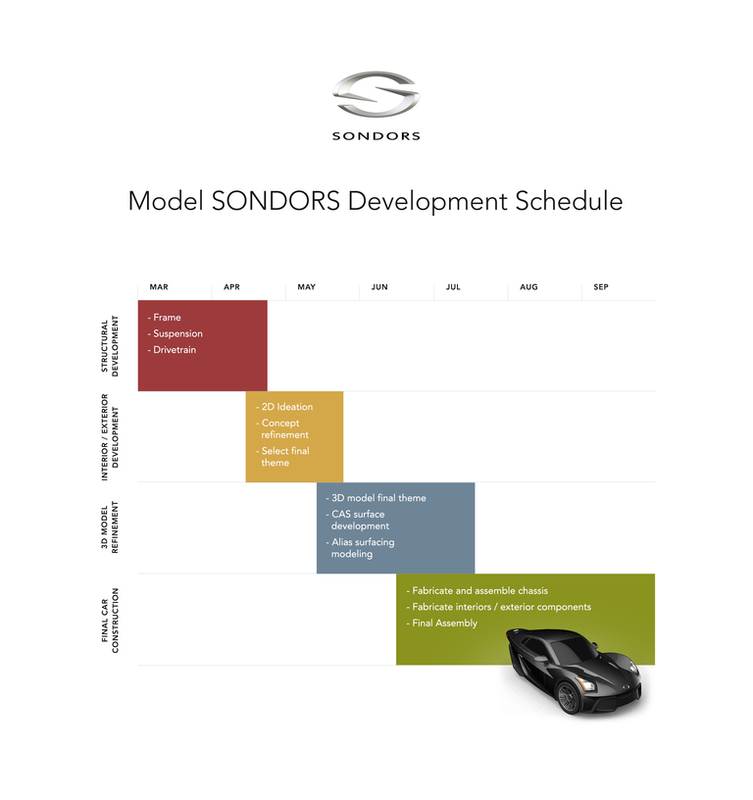 Please see the chart below for a clear step by step program for the Model SONDORS prototype development. Now you know the plan we&apos;re set to follow. Stay tuned, as we will continue to share details, images and videos every step of the way. 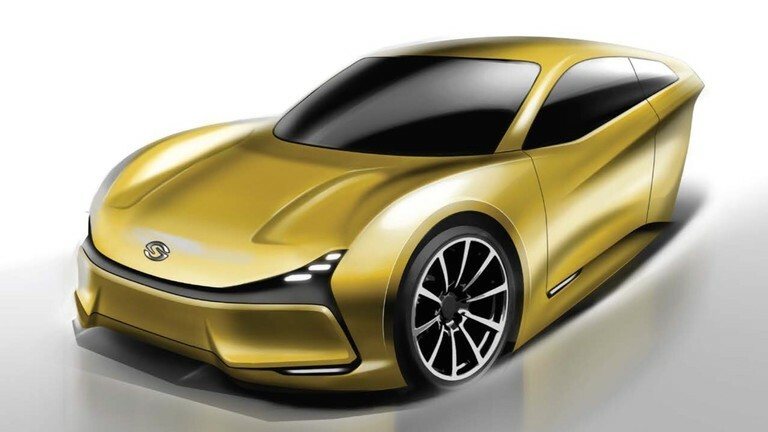 We&apos;re building the most attractive, affordable electric car ever. And, we&apos;re honored to share this opportunity with you. Since the end of the campaign, the StartEngine team has been working tirelessly to sort out the 1,700+ investments. And, due to the overwhelming success of our campaign, we had a large number of over-subscriptions, leaving a lot to filter through. This includes reaching out to investors to complete their investment, waiting for investments to clear, and refunding all of the over-subscribed investments. Due to compliance and regulations, StartEngine cannot wire the funds raised from the campaign until all the investments have cleared and all over-subscriptions have been refunded. As a result, we have not been able to access our funds to date, but have been hearing positive reports that this should be happening very soon. I’m confident and pleased with how things are progressing, and will be sharing a chart with our prototype timeline as soon as everything is solidified. One of my promises is to keep you in the loop as we grow this car company together. This is just one of many updates to come. In the meantime, stay tuned, as once we get access to the funds, the fun really starts! Thanks to all of you, Sondors Electric Car Company was able to fulfill our maximum funding goal amount of $1M! In fact, the support was so incredible we even oversubscribed, proving to all of us that the demand and impact of what we’re setting out to do is significant. We are so incredibly grateful for your investment and are thrilled to have you as a part of our company! We’re currently in the process of closing on all the funds and hope to finalize everything very soon. Once complete, we’ll provide an update to all of you about next steps as this journey begins to unfold. Get excited because we’ve got some BIG things in store! 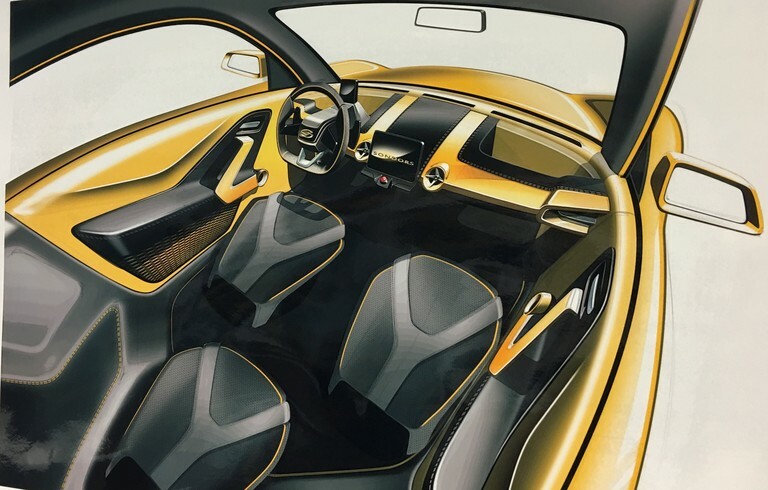 Early on, we stated the reason to open up the investment opportunity was to build a community of investors that would grow with this car company. The support we received was overwhelming, as evident by the 1,700+ investors that were fortunate enough to purchase shares on the ground floor of this innovative company. To our investors: You are our founding community. Each and every one of you have our commitment that we will do everything in our power to build the most attractive, affordable electric car ever. We’re honored to share this entrepreneurial journey with you and let’s enjoy the ride! Here is what is wrong with this picture: all of these cars cost $30,000 and more. 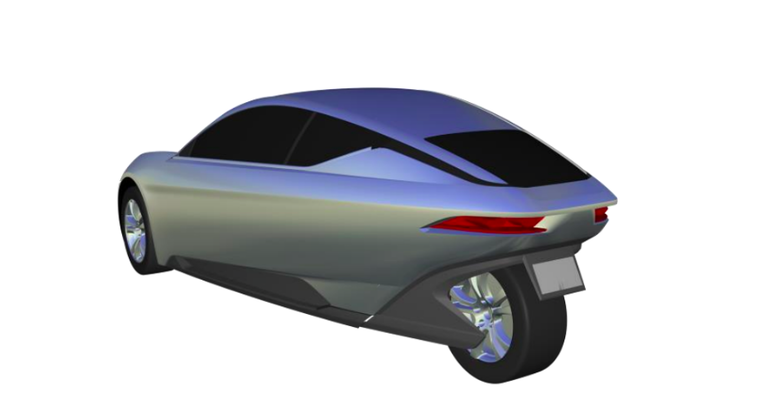 I want to make a $10,000 electric car that will be fun to drive and cost effective for everyone. It&apos;s time for electric cars to cost less. I&apos;ve shared with you how the cost for car batteries have fallen, and how predictions show that most cars sold within a decade will be electric. We all share the same belief. 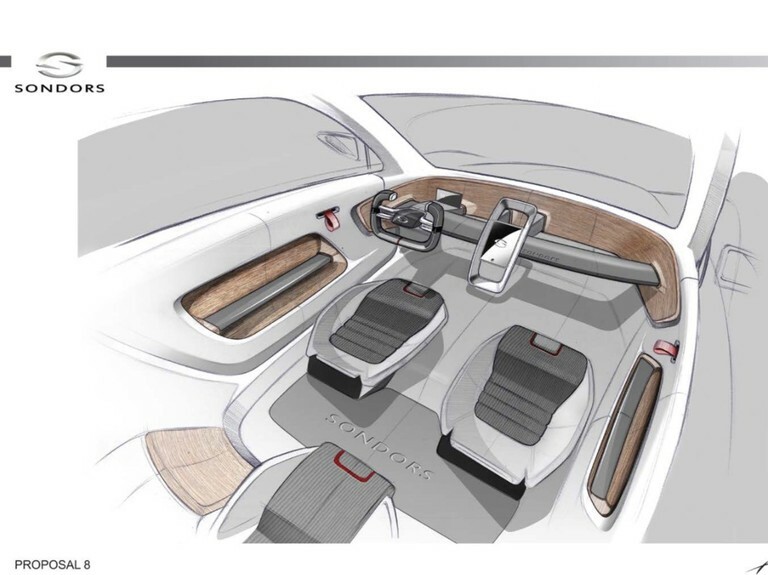 Invest now in SONDORS Electric Car Company. The support we’ve received thus far has been overwhelming and proven to all of us that what we are setting out to do is important and needed. Thank you for helping us hit and blow past our $1M funding goal! However, the opportunity is not closed. 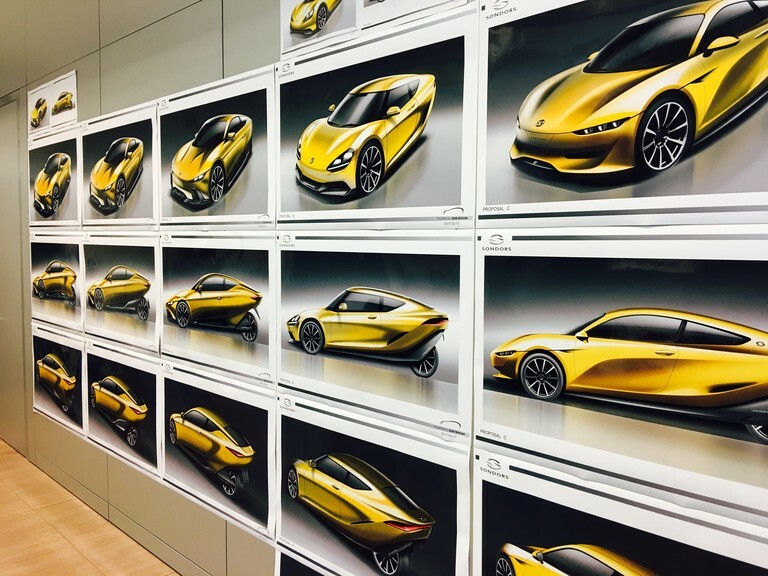 You can still invest today and join us on our journey to create the most attractive, affordable electric car ever! You only have one day left. Share this email with your friends and network - join me in this opportunity and together we will change the future. Only 2 Days Left to Join the Next Automotive Revolution! There are only two days left until the end of our investment campaign! The next automotive revolution will be electric, or so they say. And what&apos;s amazing, is electric utility companies won’t need to increase their capacity by more than a few percent, as most electric car owners will auto-charge at home, when it is cheapest and readily available. Part of this revolution is how we can better use the energy we already have - that’s why electric cars are the future. And, right now you have a chance to invest in making a $10,000 electric car. Invest in SONDORS Electric Car Company: You have only 48 hours left to invest and share this opportunity with your community. Act now and together we will change the future. With just three days until the end of our investment campaign, there&apos;s only 36 hours left to join us. As I write this, we&apos;ve already reached nearly $900,000 in investments and have only $100,000 remaining to reach our goal. We&apos;re getting really close...and fast! What is great about technology is that year after year we always get more for less money. The idea is simple: as sales increase, the costs decrease. It is a win-win for both the consumer and the manufacturer. 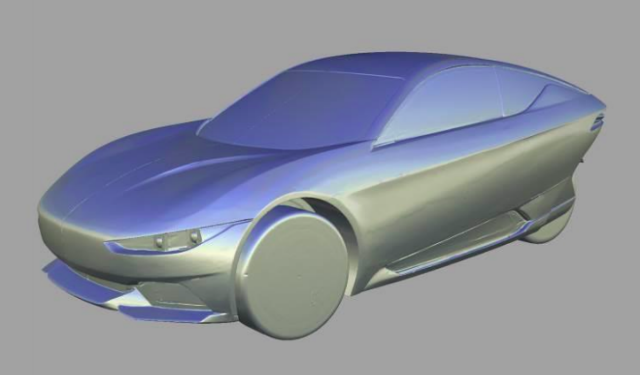 I want to make a $10,000 electric car everyone can afford. This chart says it all. We can achieve this goal, while simultaneously extending the range of our cars. This is a great win for all of us who want to drive electric. You now have a chance to invest in the future of cars. Invest in SONDORS Electric Car Company. You only have three days –– don&apos;t wait and miss out! After investing, be sure to share this email with your community, as it&apos;s together that we can impact the future of cars electric. There are only four days left until the end of our investment campaign. This is getting more exciting every day. As I am writing this, we&apos;ve reached $865,000 in investments with only $135,000 remaining to reach our goal. In a way, all of the stars are aligning. All that&apos;s missing is a cost effective electric car. Clearly people will drive electric, but why should they pay $30,000+? I believe an electric car is a utility and it should be fun to drive, beautiful and cost $10,000. If you believe the future is electric, time is running out to invest in SONDORS Electric Car Company And, be sure to share this fleeting opportunity with your friends and network. Together we can build the future of electric transportation. There are only five days left until the end of our investment campaign. This is very exciting. We have reached $860,652 in investments and only have $139,348 left. You need to answer one simple question. Is the future of transportation going to be electric or not? If you believe the future is electric then invest in the SONDORS Electric Car Company. Together we are going to build a great company, while making electric cars available to everyone. Share this email with your friends and neighbors. Together, we are going to build an incredible company. Let’s change the future of transportation. We are one week away from closing our investment campaign. Thank you for the amazing investments we have received. We are at $812,490. OK. We only need $187,510 more, and we know we can get there with your help. If you believe the future of transportation is electric then our company is the one for you to own a piece of. If you’ve already invested but want to get more of your share in our company, you can easily increase your investment by clicking on the ‘Invest’ button. You can also share this email with your friends and neighbors and help them also own a piece of the future. Together, we are going to build an incredible company. Let’s change the future of transportation. We are now only nine days away from closing our campaign. To those of you who’ve invested already, thank you for the incredible vote of confidence. I have chosen to finance SONDORS Electric Car Company directly from the public because I want the company to be built by the people who believe in electric and for all the people who want electric. Our world is changing, and we want to be part of inspired innovation while creating great new opportunities for everyone. The SONDORS plan is to do just that—change the face of transportation. Your investment will contribute to our success, and we thank you for that. Time is running out to share this opportunity with your friends and neighbors. Feel free to forward this email on and assist in creating this incredible community. Together, we are going to build an incredible company. Let’s change the future of transportation. This is the first day of our final push to change the future of transportation. 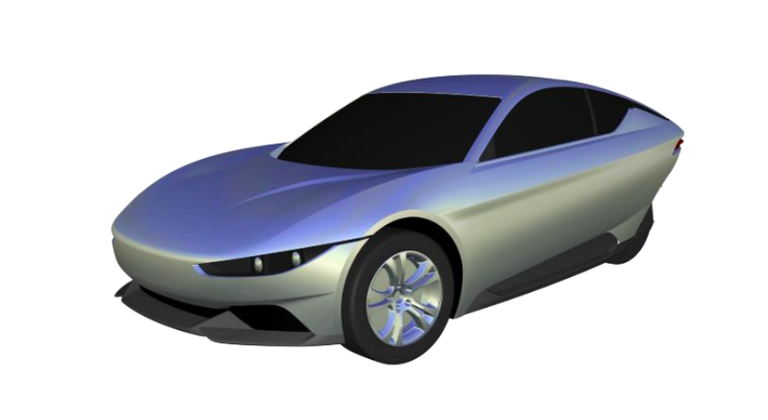 As you know, I am going to build a $10,000 electric car as a vehicle for the masses, help lower the cost for commuting, and promote a clean and quieter environment. 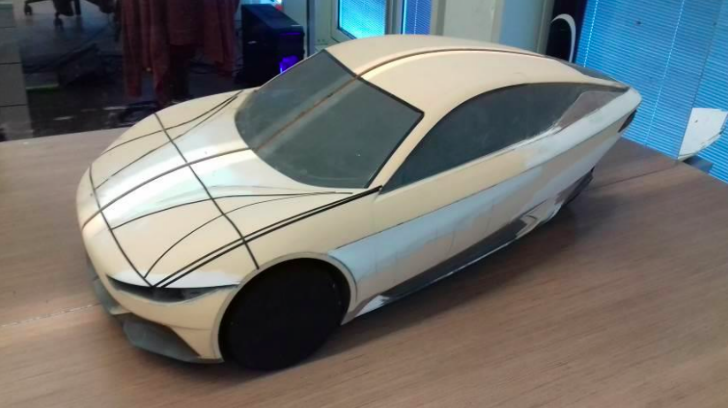 Why build a $10,000 electric car? I have said the future of transportation is electric and the cost of purchasing an electric car is expensive. There is absolutely no reason electric cars need to be expensive. The cost of batteries have gone down significantly every few years and the electronics required to operate an electric car are a fraction of what they used to be. The cell phone you use everyday is much more powerful than the electronics in the car you own today. If you haven’t already: Invest in SONDORS Electric Car Company today. We’ve already surpassed $700K in investment, but our goal is to get to the magic $1M raise. If you’ve already invested, thank you! Now is your chance to share this opportunity with your friends and neighbors by forwarding this email. Together, we are going to build an incredible company. Time is running out to join us at the beginning. Let’s change the future of transportation. With the help of 1,031 of you, we&apos;ve raised $676,44. It’s just incredible what we can accomplish together, and I am so honored that so many have decided to join us. Please tell your networks about the campaign, and ask them to check it out. With your help we can reach $1 million. Thank you so much for your investment in SONDORS Electric Car Company. Please note that your investment secures your spot in line to buy the Model SONDORS when it becomes available. Once you invest, you don’t need to do anything else to claim your spot. Investors are not required to buy a car, of course, but they are welcome to transfer, gift, or sell their spot. We can’t wait to see you out on the road! At $562,740, we’re feeling great about reaching our goal. Thank you so much for your support! Now is the time to tell your friends to join in, while they still can. Unlike rewards-based crowdfunding, once we reach our goal of $1 million, we have to close the offering. Friends don’t let friends miss out on this opportunity! In case you missed it, we’ve been in the press a lot lately. I guess we’re not the only ones excited about creating an attractive, affordable, electric car. These are some of our favorites. Check them out and and share with your friends! Enter to Win Two SONDORS Electric Bikes! The numbers just keep jumping up every day! We&apos;re thrilled to say we&apos;re more than halfway to our goal and even more thrilled that there over 700 of you on this ride with us. Thank you so much for your support. With the help of 684 of you, we’ve raised $489,504. We’re nearly halfway to our goal after only a few weeks. You are incredible. In less than 24 hours, you have invested over $150,000, blowing right past our minimum goal. It’s just incredible what we can accomplish together, and I am so honored that so many have decided to join us. I believe that together we can really change the industry. I appreciate your belief in SONDORS and in our mission to build the most attractive, affordable, and practical electric car ever! So thank you so much for your support! And now that you are officially a backer, we&apos;re just getting started! Please tell your family and friends about the SONDORS electric car and this campaign. Ask them to check out the campaign page and consider joining us on this ride.